This situation requires policymakers and disaster managers to closely monitor its evolution. And, considering that El Niño is not the only factor causing climate-related disasters in the region, it is advisable to pay close attention to short and medium-range weather forecasts, as well as the already prevailing conditions that could make societies susceptible to the consequences resulting from the slightest deviations in rainfall and temperature as compared with what is normally expected. 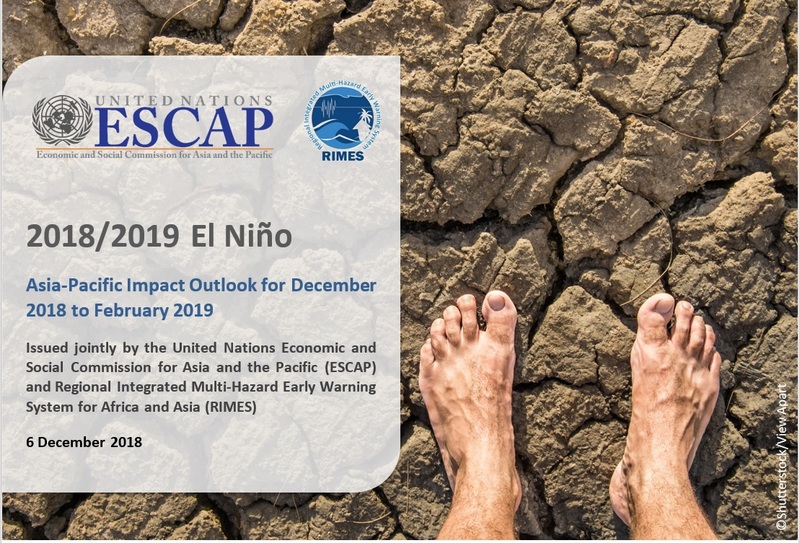 This joint ESCAP/RIMES advisory assesses the potential repercussions of the present situation, both, in terms of the climate and its possible societal impacts. It is intended to inform the efforts of Governments, development and humanitarian agencies to understand the risks and to mitigate the potential impacts.